I love an Alice in Wonderland theme. This is why I was attracted to Lemming Lacquer's first collection off the bat, but they're more than that. 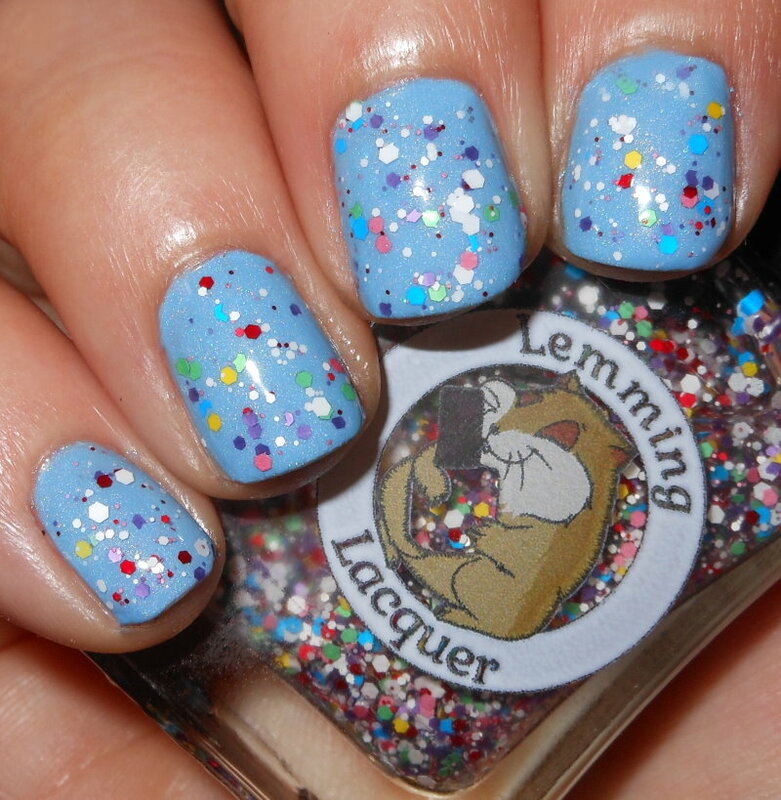 Lemming Lacquer is a new indie brand to the scene, and they've really hit it off well. This is a brand that knows what they're doing, how to do it, and does it exceptionally well from their nail polish, packaging, to customer service. I picked up some pretties from a recent sale and I'm so impressed. This is one of the colors I bought. 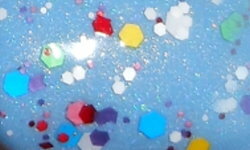 Eat Me is a mix of matte rainbow and white glitters in a clear base. Color: You cannot go wrong with a rainbow glitter. Eat Me has such a pretty array of primary and pastel matte glitter colors. The white glitters add a nice touch that ground the rest of the colors. Formula: Excellent and easy to use glitter formula. I did not need to fish for glitters in this at all. I used 2 coats above. Dabbing will allow you to place more glitters on the nail, but it's not necessary. You can get a nice amount of glitters on the nail with just swiping your brush. Price: This is $8.00 on the Lemming Lacquer website. Overall: Eat Me is one of those pretty straightforward polishes. It's a lovely rainbow glitter that is easy to apply and looks great!